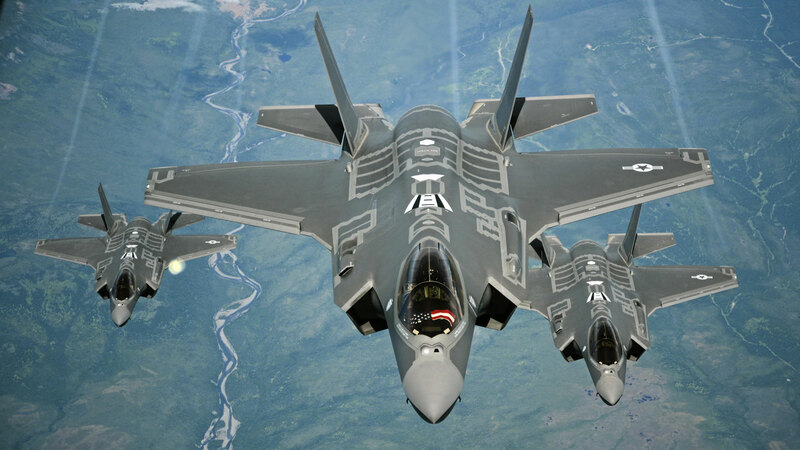 The F-35 Lightning II has faced more than a few technical problems and cost overruns in the 15 years since Lockheed Martin first won its production contract, but it's nearly done overcoming those hurdles. The US Air Force has declared that the F-35A (that is, the conventional takeoff model) is officially ready for combat. The first squadron to get the advanced jet, the 34th Fighter Squadron at Utah's Hill Air Force Base, can now deploy it on real-world missions if necessary. Of course, theory and practice are two different things. While the F-35 is technically combat-ready, the Wall Street Journal's Jon Ostrower notes that it won't really be capable until "at least" October. The fighter's current software prevents it from making full use of its capabilities (such as launching certain weapons) at the moment. As it stands, it'll likely take some time before the F-35 deploys to an active theater, like the fight against ISIS -- Air Combat Command estimates 2017. Think of this more as passing a base level of combat-worthiness than anything else. There's also the question of other military branches' aircraft. While the Marine Corps said its F-35 model (the short/vertical takeoff-capable F-35B) was ready in July 2015, it was glitchy and missing key functionality at that point. And the Navy's carrier-friendly F-35C isn't active, either. It could be a long, long while before the Lightning II is polished enough that it's a mainstay across the US military.